Aribelle takes a job cleaning the house of Thaddeus Walker. Thaddeus is known to others as mean, rude, scary and mysterious. Aribelle does not know what to think of this secretive man. The more she spends time with him, she realizes his soft side. Thaddeus tries to keep up his tough exterior, but finds himself being more and more attracted to Aribelle. He cannot let this happen! 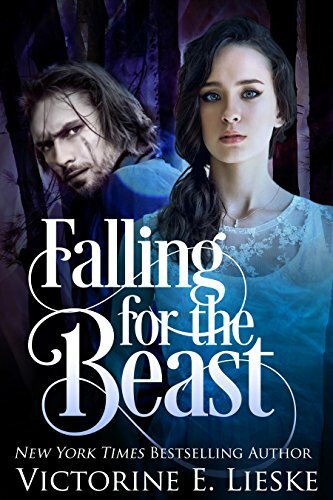 Falling for the Beast is my favorite retelling of the Beauty and the Beast fairy tale. I really did not know how I would the book when I first heard about it. I probably did an eye roll or two, thinking to myself, "Not another one!". But that all changed when I started reading. For Aribelle and Thaddeus to be complete opposites, they sure did have great chemistry together. The story is a little bit mystery, little bit paranormal, and whole lot of clean, sweet romance. I loved it! !